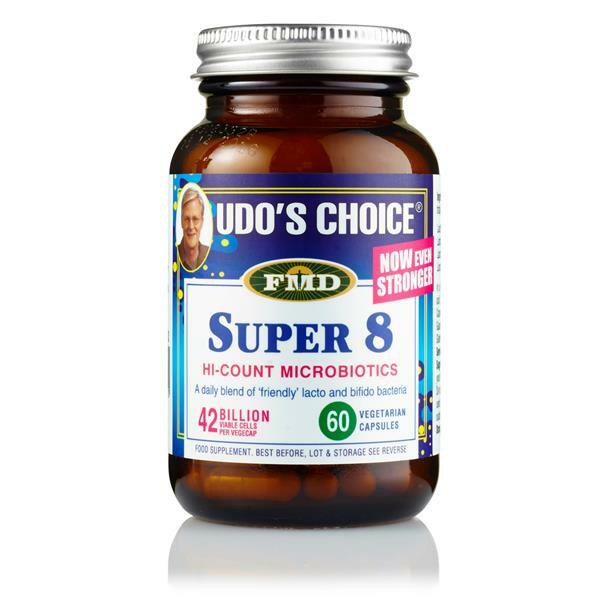 Consume one to three super 8 capsules per day after eating to help build up good intestinal flora. Suitable for 5+ years. Lactobacillus acidophilus 45%, Lactobacillus rhamnosus 25%, Streptococcus thermophilus 10%, Lactobacillus plantarum 7%, Bifdobacterium bifdum 6%, Bifdobacterium longum 3%, Lactobacillus bulgaricus 3%, Lactobacillus salivarius 1%, in a base of Micro-Crystalline Cellulose, Vegetarian Magnesium Stearate and Ascorbic Acid.